Friedreich's ataxia is an inherited disease that causes progressive damage to the nervous system resulting in symptoms ranging from gait disturbance and speech problems to heart disease. It is named after the physician Nicholaus Friedreich, who first described the condition in the 1860s. "Ataxia", which refers to coordination problems such as clumsy or awkward movements and unsteadiness, occurs in many different diseases and conditions. The Friedreich's ataxia is progressive and results from the degeneration of nerve tissue in the spinal cord and of nerves that control muscle movement in the arms and legs. The spinal cord becomes thinner and nerve cells lose some of their myelin sheath, that results in neurological signs. Sometimes are associated cardiomiopaty and Diabetes Mellitus (10%). In USA Friedreich's ataxia is listed as a "rare disease" by the Office of Rare Diseases (ORD) of the National Institutes of Health (NIH). Although rare, it is the most prevalent inherited ataxia, affecting about 1 in every 50,000 people in the Caucasian populations, where males and females are affected equally. In Italy the prevalence is estimated in about 2,5/100000 cases1. It is rare in sub-Saharan Africans and does not exist in China, Japan and South-East Asia. Friedreich's ataxia is an autosomal recessive disease, which means the patient must inherit two affected genes, one from each parent, for the disease to develop. If both parents are carriers of the Friedreich's ataxia gene, their children will have a 1 in 4 chance of having the disease and a 1 in 2 chance of inheriting one abnormal gene that they, in turn, could pass on to their children. In 1996, an international group of scientists identified the cause of Friedreich's ataxia as a defect in a gene located on the centromeric region of chromosome 9 (9q13-21.1) encoding for the 210-aa protein frataxin. This mutation is characterized by an excessive number of repeats of the GAA (guanine adenine adenine) trinucleotide DNA sequence in the first intron of the gene coding for frataxin. It is the only disease known to be the result of a GAA trinucleotide repeat. 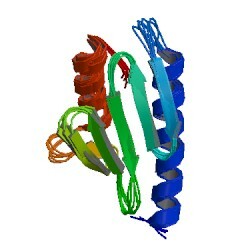 This expansion alters the expression of the gene, decreasing the synthesis of frataxin protein. The expanded GAA repeat is thought to result in frataxin deficiency by interfering with transcription of the gene by adopting an unstable helical structure. The larger the number of repeats, the more profound is the reduction in frataxin expression. A GAA trinucleotide repeat expansion in intron 1 of the Frataxin gene is found in more than 95% of patients. The age of onset, progression to ambulation loss, occurrence of several clinical signs including cardiomiopaty and loss of tendon reflexes are all related with the size of the GAA expansions. Friedreich’s ataxia is the first known recessive genetic disease that is caused by a triplet repeat expansion. A very small proportion of affected individuals have other gene coding defects responsible for causing disease. The exact function of Frataxin is yet unknown, but the protein is thought to play a role in the assembly and/or transport of mitochondrial Iron-Sulfur proteins involved in the respiratory chain. It seems essential for mitochondrial function including oxidative phosphorylation and iron homeostasis. 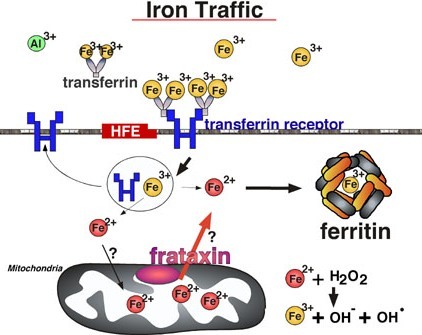 Some Authors suggest that frataxin sustains mitochondrial energy production and other cellular functions by providing iron for heme synthesis and iron–sulfur cluster (ISC) assembly and repair, but also detoxifies surplus iron thereby affording a critical anti-oxidant mechanism. These two functions have been difficult to tease apart, however, and the physiologic role of iron detoxification by frataxin has not yet been demonstrated in vivo. 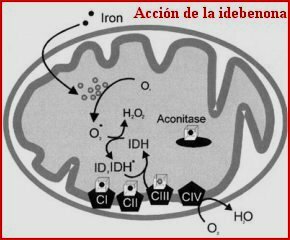 Mitochondrial iron accumulation is also thought to occur: decreases in cytosolic iron induce expression of the transferrin receptor, some of which is released into the serum. A study demonstrated that serum transferrin receptor concentrations are increased in patients with Friedreich ataxia, which supports the hypothesis that it is a disease of abnormal intracellular iron distribution2. This has been implicated in oxidant damage3. Myocardial muscle fibres undergo degeneration, become hypertrophied and lose their striations. Symptoms usually begin between the ages of 5 and 15 but can, on rare occasions, appear as early as 18 months or as late as 50 years of age. The first symptom to appear is usually difficulty in walking, or gait ataxia. The ataxia gradually worsens and slowly spreads to the arms and then the trunk. Ataxic gait - both sensory ataxia (loss of joint position sense results in a steppage gait where there is uneven and irregular striking of the floor by the bottom of the feet) and cerebellar ataxia (wide based gait). There is difficulty turning. Progressive motor weakness of the lower limbs occurs, leading to inability to walk. Arm weakness occurs in advanced disease. Ataxic head movements (titubation) can occur in advanced disease. The rate of progression varies from person to person. Generally, within 10 to 20 years after the appearance of the first symptoms, the person is confined to a wheelchair, and in later stages of the disease individuals become completely incapacitated. Life expectancy may be affected, and many people with Friedreich's ataxia die in adulthood from the associated heart disease, the most common cause of death. However, some people with less severe symptoms of Friedreich's ataxia live much longer, sometimes into their sixties or seventies. Genetic counseling is available for prenatal diagnosis of Friedreich ataxia for parents with one affected child. Population screening for carriers of the defective gene is not practical. A specific trinucleotide repeat expansion assay is available commercially in the United States and should be performed in all suspected cases of FA. No evidence of CSF abnormality exists in patients with FA. Magnetic resonance imaging (MRI) is the study of choice in the evaluation of the atrophic changes seen in Friedreich ataxia. MRI of the brain and spinal cord in patients with FA consistently shows atrophy of the cervical spinal cord with minimal evidence of cerebellar atrophy. Echocardiography reveals symmetric, concentric ventricular hypertrophy, although some have asymmetric septal hypertrophy. Approximately 65% of patients with FA have abnormal ECG findings. The most common findings are T-wave inversion, particularly in the inferior standard and lateral chest leads, and ventricular hypertrophy. Nerve conduction velocity (*NCV*) study findings in FA usually are normal or display only mildly reduced velocities. Sensory nerve action potentials (SNAP) are absent in greater than 90% of patients with FA. The remaining 10% display reduced-amplitude SNAPs. Brainstem auditory evoked, Visual evoked potentials, Somatosensory evoked potentials are typically abnormal in a good percentage of patients. The employment of SQUID (Superconducting Quantum Interference Devices) is justified by the results of that approach in other iron-overload diseases. A cross-section through the lower cervical cord clearly shows loss of myelinated fibers of the dorsal columns and the corticospinal tracts (Weil stain). Milder involvement of spinocerebellar tracts is also present. The affected tracts show compact fibrillary gliosis on hematoxylin and eosin (H&E) stain but no breakdown products or macrophages, reflecting the very slow rate of degeneration and death of fibers. The dorsal spinal ganglia show shrinkage and eventual disappearance of neurons associated with proliferation of capsular cells (H&E). The posterior roots are nearly devoid of large myelinated fibers. Within the thoracic spinal cord, degeneration and loss of cells of the Clarke column are apparent. No therapeutic measures are known to alter the natural history of the neurological disease. Li and colleagues have shown that therapeutic efforts should focus on an approach that combines iron removal from mitochondria with a treatment that increases cytosolic iron levels to maximize residual frataxin expression in patients with FA6. 5-hydroxytryptophan is a serotonin precursor that has been used for a decade or more by Trouillas et al to treat various forms of ataxia with mixed results. This drug was known to suppress posthypoxic action myoclonus. 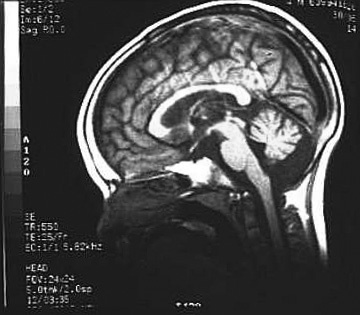 The rationale for use of the drug in FA was that FA may in part be due to a cerebellar deficiency of serotonin. However, the effect was only partial and not clinically major. A study demonstrated stabilization of posture in patients receiving long-term treatment with 5-hydroxytryptophan and a clear deterioration in patients who did not receive the treatment. This form of treatment requires further study. Coenzyme Q is an antioxidant that can buffer free radical formation. A combined coenzyme Q (400 mg/d) and vitamin E (2100 IU/d) therapy has been used in a study of 10 patients with slowing of the progression of certain clinical features and a significant improvement in cardiac function. Experimental studies are underway to evaluate the use of coenzyme Q derivatives in limiting the toxicity of iron to mitochondrial structures. Idebenone is a synthetic analogue of coenzyme Q10. Recently has been suggested a treatment with all-trans Retinoic Acid for the improvement of motor skills. Surgery may be helpful in selected cases for scoliosis and foot deformities. Standard treatment is administered for heart failure, arrhythmias, and diabetes mellitus. 5 It’s the most common cause of death in Friedrich’s Ataxia.